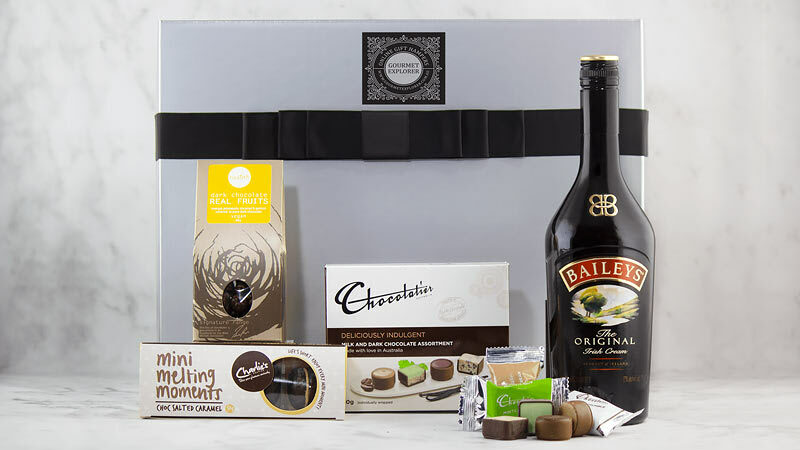 This Cream Liqueur and Chocolate Hamper is incredibly smooth, a perfect gift for someone with discerning tastes. Baileys Cream Liqueur has long been an Australian favourite with a beautiful blend of rich chocolate and vanilla flavours - delicious on the rocks or try it as a tall drink with milk and plenty ice. This delicious selection of chocolate goodies makes the perfect dessert along with a glass of Father O'Leary's Velvet Cream.